In order to provide you with the best possible service and treatment to enable the best possible outcome for your situation, our therapists will use a variety of different treatment techniques and services. Our therapists will be able to discuss a number of options that will aid your recovery, however the ultimate decision will be yours. 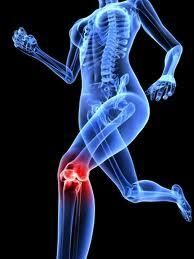 Understanding what may be the cause of your injury or pain can have a very positive influence on your recovery. Also, understanding the road to recovery and the nature of the injury can aid this. 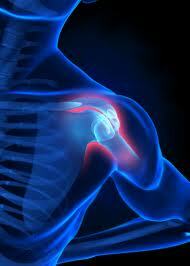 We will be able to discuss your condition/injury with you in order to improve your knowledge of the situation. We are also able to offer education on ways to prevent the injury re-occurring, advice on exercise, nutrition, work and leisure environments. Manual therapy is the use of skilled, specific hands on assessment and treatment techniques to diagnose and treat muscles, ligaments and joint structures. We will use a number of techniques including mobilisations, massage, release techniques and PNF for the purpose of modulating pain; increasing range of motion (ROM); reducing or eliminating soft tissue inflammation; inducing relaxation; improving contractile and non-contractile tissue repair, extensibility, and/or stability; facilitating movement; and improving function. Acupuncture is a system of healing that has been practised for over 2,500 years, having originated in China and other far Eastern cultures. Acupuncture is a gentle and effective treatment that focuses on helping the whole person, aiming to improve their overall health and wellbeing, and today it is widely used and accepted all over the world. It involves the use of a collection of procedures involving penetration of the skin with needles in order to stimulate certain points on the body. It has been shown to be extremely beneficial in the treatment of both acute and chronic injuries; pain; swelling; reduced range of movement and improving function. You'll find our therapists fully trained and experienced in the use of acupuncture. 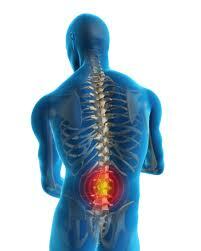 Soft tissue massage involves direct physical action on the soft tissues of the body. The target structures include the muscles, tendons, ligaments, or other connective tissue such as fascia. We will use a variety of techniques including a whole range of massage depths, pressures and durations in order to aid your recovery. Rehabilitation is an important part of treating any injury. A rehabilitation programme aims to return the injured body part to normal function by gradually introducing it to movement, exercise and full function. An appropriate rehabilitation programme can not only aid recovery from injury but can also prevent recurrence of the injury, compensatory movements occurring and can in a high number of cases improve function and performance. Strapping and Taping have many roles such as to support the ligaments and capsules of unstable joints by limiting excessive or abnormal anatomical movement, enhancing proprioceptive feedback from the limb or joint, support injuries by limiting movement and reducing swelling through compression. We will use our knowledge of taping and strapping in order to aid your recovery and rehabilitation from your injury.